The podiatry team at the Century Medical and Dental Center in Brooklyn is the best in all New York. The center brings together specialists like Dawn Yamashita, DPM, to provide care for all your foot and ankle conditions. Whether you suffered an injury or have a disease, Dr. Yamashita can help. Her sports medicine approach for athletes helps them enhance their performance or recover more swiftly from injuries. Even if you’re not an athlete, Dr. Yamashita offers advice and instructions on how to deal with foot and ankle trauma. Her suggestions for preventing foot problems in the first place has won her many positive accolades. 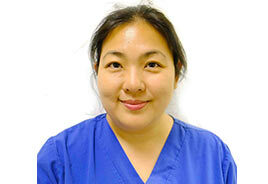 Dr. Yamashita is a practicing podiatrist on staff at the Century Medical and Dental Center in Brooklyn. She graduated from New York College of Podiatric Medicine in 2000. With all the experience she’s accumulated since, she has become an excellent source of knowledge as a skilled podiatrist. The American Podiatric Medical Organization has certified her. She can help you with your foot or ankle issues. Make an appointment to discover for yourself the attention and talent she brings to the table.